← Football joins tourism’s premier league as overseas fans flock to games. THE World Travel Market, the leading global event for the travel industry, is set to open doors once again from November 5-8 at ExCel, London. Reed Travel exhibition director World Travel Market Simon Press highlights some of the new initiatives in store for exhibitors and buyers this year. Over the years, WTM has witnessed an increase in the number of exhibitors registering for the event. How has the response been this year? World Travel Market has gone from strength to strength in recent years, visitor numbers have outperformed expectations year on year even with the global economic downturn. The numbers are a testament to the importance of the event in the calendar of more than 47,000 global trade professionals who attend WTM. There has been an excellent response to registration this year, with pre-registration figures currently ahead of the equivalent point this time last year. We expect that these strong pre-registration figures will convert into actual attendees at WTM 2012 in a few weeks’ time. Which exhibitors will make their debut this year? We have a number of exciting new exhibitors making their debut at WTM in 2012; leading car hire agency, Autorent Car Rental, a Dubai based company has operations that stretch across the Middle East. UK based luxury car rental company; Season Car Hire also comes to WTM for the first time this year, with some exciting plans for their stand at the show. Can we expect to see a strong delegation from the Middle East too? As in previous year’s we are again seeing a strong contingent of exhibitors from the Middle East represented at WTM 2012. There is a strong presence from tourism authorities, hotels, resorts and attractions from the UAE especially, as the industry looks to the prosperous Middle Eastern market as an area for growth. 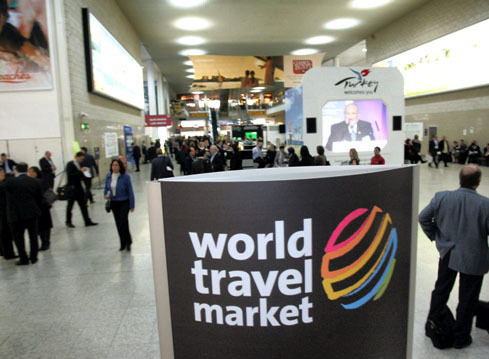 Abu Dhabi signed a three year Premier Partnership deal with World Travel Market covering WTM 2010, 2011 and 2012. Abu Dhabi is booming in terms of hotel and resort openings and visitor arrivals. We’re delighted to see our strong partnership is reaping rewards for the destination and looking forward to helping it showcase its latest developments. What was the need for an extra Speed Networking Event this year? How can WTM Meridian Club members make the most of this? After the phenomenal success of our Speed Networking sessions over the past here events, it was decided that, new for 2012, World Travel Market is introducing an extra Speed Networking session on Thursday 8th November. This newly incorporated session will offer Meridian Club members a final opportunity to network, generate new business deals and ensure their business opportunities extend beyond WTM. More than 200 (204) buyers and 438 exhibitors took part in the Speed Networking the Monday morning of WTM 2011. The event took place before the exhibition opened to give exhibitors and buyers from the WTM Meridian Club even more time to discuss and conclude business deals. It hoped that this strong attendance is replicated at WTM 2012. For Meridian club members attending this event, to make the most of this opportunity, the best advice would be to research exhibitors in attendance and scope out early those of interest; have an agenda and make sure your intentions and objectives are clear. What are the emerging trends at WTM this year? World Travel Market is at the forefront of industry insight and opinion, providing a unique platform on which global trade professionals can find out about the latest trends and issues impacting the industry from leading industry figures. As pre-empted in our strengthening WRTD programme at WTM, the on-going challenges of implementing responsible tourism practises is likely to remain high on the agenda for 2013. Although support in the industry is already strong, more active participation in initiatives promoting this cause is needed. The importance of technology and social media in the sector is becoming increasingly relevant as internet usage increases, both in mature and developing online markets. We see the return on the extremely popular Social Travel Market programme taking place on November 7 and 8. With the launch of WTM Latin America have participants from the US reduced this year? Looking ahead, what is your strategy to ensure that does not happen? WTM Latin America is targeted at the booming Brazilian and Latin American travel and tourism industry. It is estimated that the number of tourists travelling to Latin America will increase by 5.2 per cent a year to more than 55 million in 2021 from just over 33 million in 2011. The event will fuel the growth of tourism within the region, and make the industry aware that Latin America is one of the most important and emerging tourism destinations in the world. Due to the scale and importance of World Travel Market, it was never felt, in launching WTM Latin America, that it would pull focus away from WTM in London. Global trade professionals come to WTM not just to network and conduct business with more than 5,000 exhibitors under one roof, but also for our unparalleled events programme lead by industry experts. Posted on November 1, 2012, in inbound tourism, UK Events 2012, UK Tourist News, Whats on London, world travel market, wtm london. Bookmark the permalink. Leave a comment.